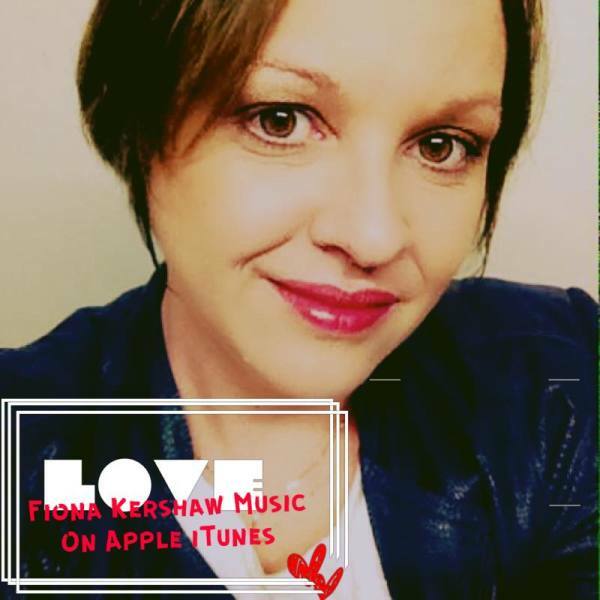 Fiona Kershaw is a prolific Songwriter/Singer/Musician and Artist based in Warrnambool VIC AUS, whom writes, records and performs alternative groovy folk/pop/ambient songs. Her songs are like modern poetry with a meaning, vocals clear and distinctive and guitar styles versatile and of a high standard. Fiona performs at Australian Folk Music Festivals, Originals Events, Theatres, and local charity events and markets. Fiona began her music career in Rockhampton, Central Queensland, Australia, her first band was with her Scottish Father, as lead guitarist, covering The Shadows" and surf instrumentals. She then joined a 5 piece working cover band, "Horizon", as lead guitarist and backing harmonies singer, touring Central QLD from the age of 16-19, Horizon won many first prizes in band competitions at Country Music Festivals in the mid 90s. Fiona then went to Brisbane to pursue her own solo career singing and playing her Takamine acoustic/electric in Cafe/bars in Westend, Paddington, Fortitude valley,Milton and Petrie Tce and the City, where Fiona sold 500 cassettes of her first EP recorded at Pyramid Studio in Redhill, "Freedom". Fiona became an APRA member writer in 1997 and has continued to write, record and publish her songs since then. Fiona has performed at many Australian Folk Music Festivals her songs, as a soloist and with bands, including "Yungaburra Folk Festival", "Village Arts Festival", "Wintermoon Festival", "Evolve Festival" all in North Queensland, and Portland Upwelling Festival, MAGIC Festival and Aus Music Festival, Tarerer Festival, St Brigids Blues and roots Festival and Port Fairy Folk Festival, all in South West Victoria. Fiona is a very diverse Artist, having studied classical piano as a child, to being a Country/Rock and Blues Lead guitarist in bands as a Teen, a Jazz Musician in Brisbane City Cosmopolitan Bars in the late 90s, to performing at North QLD Music Festivals in Reggae and Blues bands in 2000-2010 and more recently this diversity shows having supported Vika and Linda Bull at The Village Arts Festival in Yeppoon QLD in 2004 , as well as supporting Archie Roach and Neil Murray at The Light House Theatre in Warrnambool VIC in 2015. Fiona has re-released her Freedom EP into a live Album with 9 tracks extra that were not released before, as a 20 year Anniversary CD and a Freedom Tour of Victoria, which commenced on 15th October 2017 at The Loft in Warrnambool VIC with a beyondblue fundraiser, and continued to Port Fairy Blarney Books and Art, and The Royal Hotel in Portland. Fiona and her Son will be touring the East Coast in 2019 as a Duet, guitar and Bass, performing songs from No More Broken Dreams and Good News Eps to new crowds with Merch for sale at concerts.